Fall: crunchy leaves, scarves, pumpkin everything… and FOOTBALL of course! 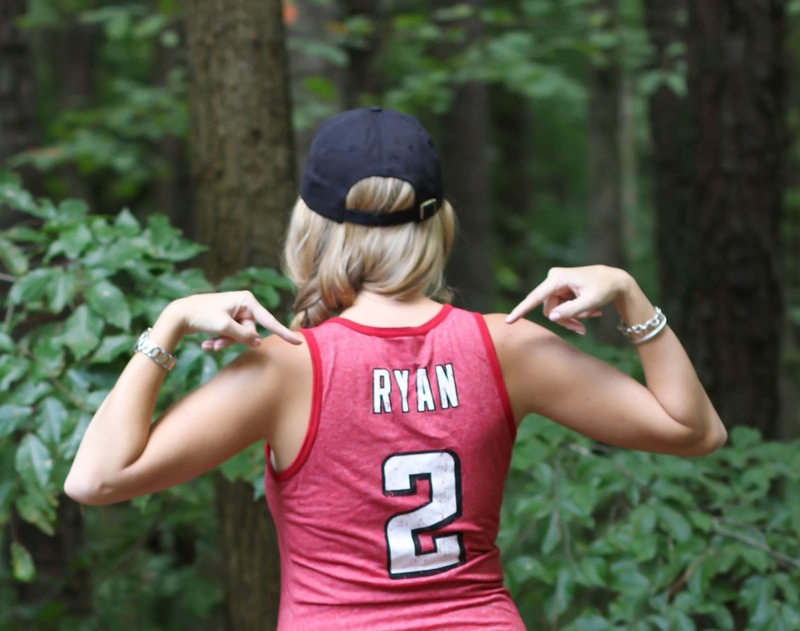 Living in Atlanta means you have to be a big football fan. UGA (my alma mater) is an hour away, and of course we are home to the Atlanta Falcons aka the dirty birds! People around here really like showing their support for the Falcons (I mean did you see how they beat the Eagles this week? 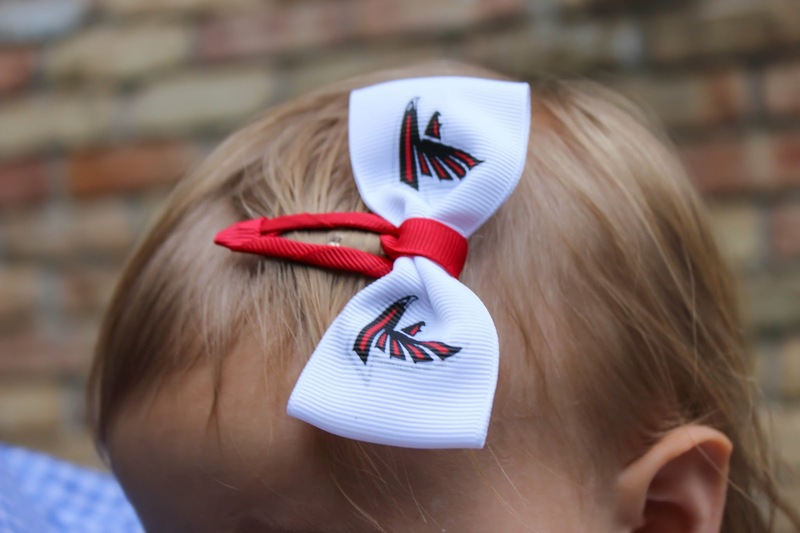 ), so if you’re going to live in Atlanta you have to have some cute Falcons apparel, and the best place to find it is at NFLShop.com. 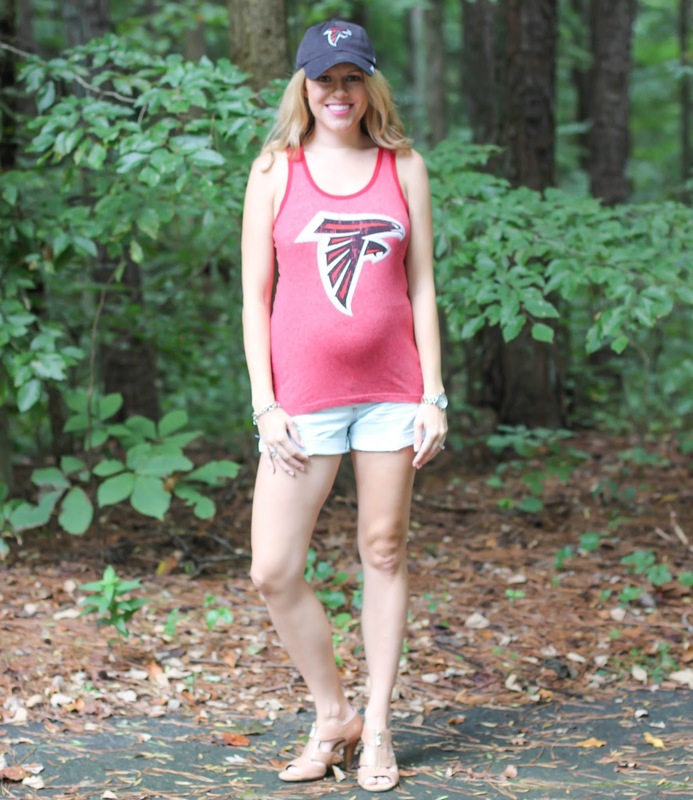 My go-to’s for gameday this season are this tank (that hopefully can fit me a little more this pregnancy), and an easy to throw on and style hat. I think tanks are the perfect gameday look both because they’re cute and for practicality – it can get hot tailgating and in the Dome so wearing layers is a good choice. And seriously moms and any busy ladies out there, hats are cute, show spirit, and a great way to make dirty hair last another day before washing it. Win-win situation. 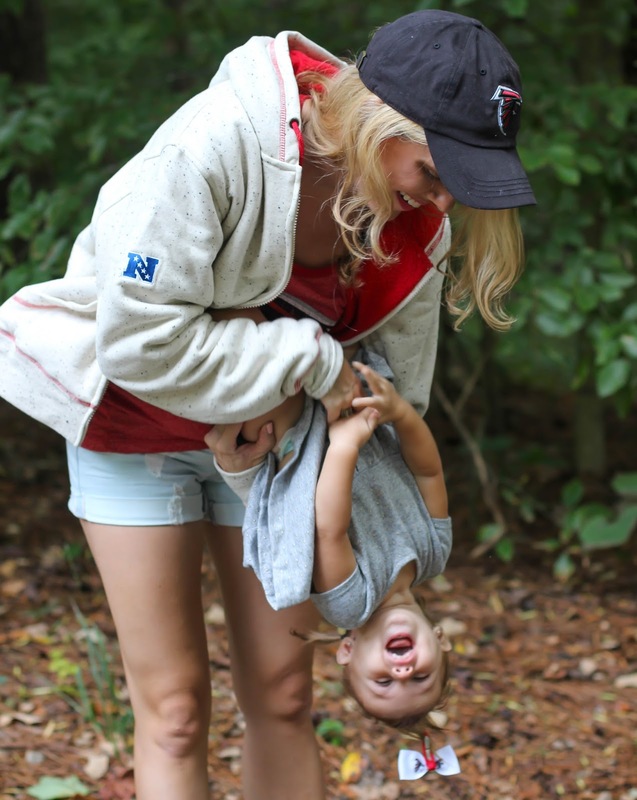 I also found on NFLShop.com the most comfortable Falcons hoodie ever. It’s super snuggly – and of course I had to grab something for Maddie Grace so I added these really cute hair bows. On NFLShop.com you can find stylish NFL gear for the whole family at great prices! What NFL team are you rooting for? You are adorable! 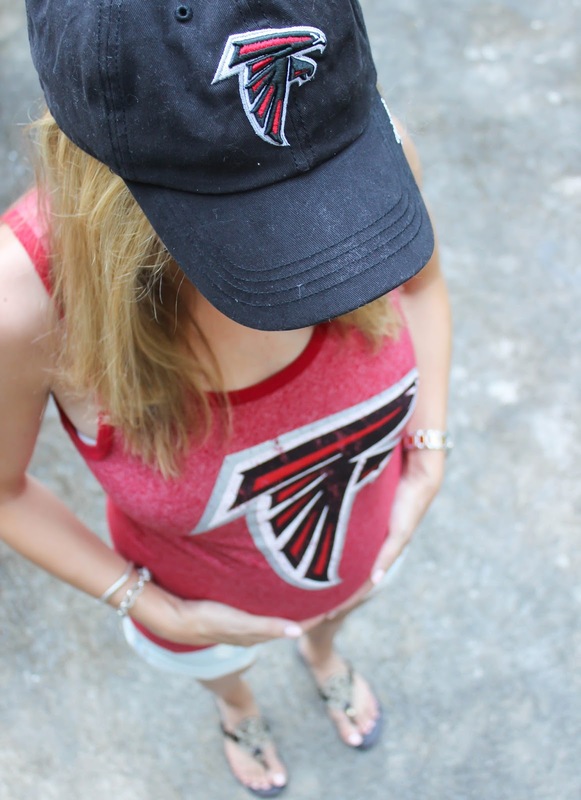 The closest NFL team to us are the Falcons, so I guess I am a sort-of fan. NFL is not very big here in Alabama because we don't have a team, but it is fun to watch! I love your tank! So cute!! And you're finally showing! Haha. Olivia has the cowboy boots and the cheerleader outfit. We've always been huge Falcons fans. Aww you look beautiful with your baby bump! Love fall too! Such cute stuff! You look adorable with your baby bump, and your daughter is so cute with the hair bow too. So adorable! You look wonderful and your daughter is so, so cute! Thanks for sharing and keep us posted as the months move along!